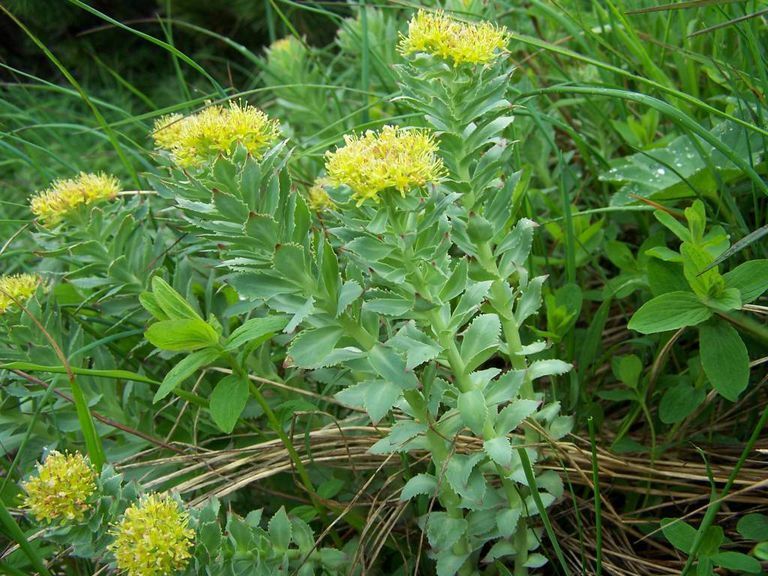 Rhodiola rosea — commonly known as "roseroot," "golden root" or "arctic root" — is a perennial plant native to Northern Europe and Asia. Herbalists consider it to be an adaptogen, meaning that it helps the body cope with stress. While it is not entirely understood how R. rosea might alleviate depression, a 2009 study found that it is a potent inhibitor of monoamine oxidase A and B. When the activity of these two substances is blocked, neurotransmitters — such as serotonin, norepinephrine, and dopamine — cannot be broken down, causing more of them to become available. Because shortages of these important chemicals have been linked to depression, having more of them around could help improve mood. Although R. rosea has been studied extensively in Russia and Scandinavia, very little of this research has been translated into English. It is only over the past decade or so that European and American researchers have begun to investigate this herb, so there are only a few English-language studies dealing with its effectiveness as an antidepressant. Among these studies, a handful of animal studies has reported that it does appear to have antidepressant effects. In addition, when it was combined with tricyclic antidepressants, there was a reduction in both antidepressant side effects and depression symptoms. Thus far, there is only one study reporting on its antidepressant effect when used as a single therapy. Patients in this study experienced a statistically significant improvement in symptoms compared to placebo. Overall, however, these results are all very preliminary and it is too early to tell whether R. rosea can be recommended as an effective treatment for depression. Is It Safe and Well-Tolerated? R. rosea appears to have an excellent safety profile. Its side effects are both uncommon and mild and include allergy, irritability, insomnia, sleep disturbances, vivid dreams, fatigue and unpleasant sensations, especially at higher doses. R. rosea does not appear to interact with other medications, although a potential may exist for it to cause a dangerous build-up of serotonin, called serotonin syndrome when it is used in conjunction with other medications which also increase serotonin, such as other antidepressants. No evidence regarding its safety during pregnancy and breastfeeding are available, therefore, it cannot be recommended at this time.